What does ‘severe financial hardship’ mean in accessing the fund? What does “retirement” mean in this context? Shirley leads the Superannuation team, at BDO in South Australia, as well as the national specialisation. She is a recognised industry expert and a passionate advocate of her clients, team and industry. The Superannuation service line provides a range of compliance, accounting, and taxation and audit services for self managed superannuation funds (SMSFs), both directly and as a back office function for a range of client service providers. Working in cooperation with the Wealth Management team, Shirley is able to support the delivery of strategic superannuation services and advice. Speaking engagements, training and workshops with the Institute of Public Accountants (IPA), Chartered Accountants Australia & New Zealand (CAANZ), SMSF Association (SMSFA), Tax & Super Australia (TSA) and The Tax Institute (TIA) illustrate her industry leadership. With more than 20 years’ experience as a Chartered Accountant, Shirley joined the South Australian firm in 1994, commencing as an auditor. 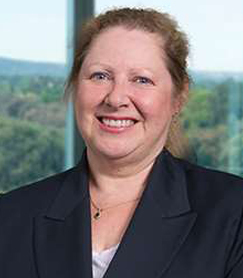 In 1996, she established a separate Superannuation service line; now one of the largest, dedicated super teams in BDO, servicing over 800 SMSFs. Shirley became a Director in 2001 and was appointed BDO’s National Lead Partner for Superannuation in 2010.